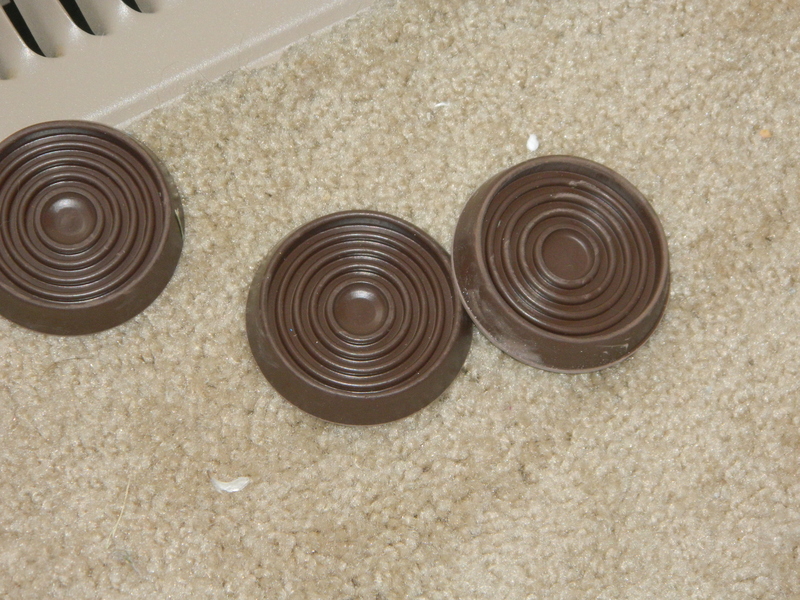 There are fourteen individual furniture risers in my house at the moment—of three different types. Forty-eight hours ago, there were zero. 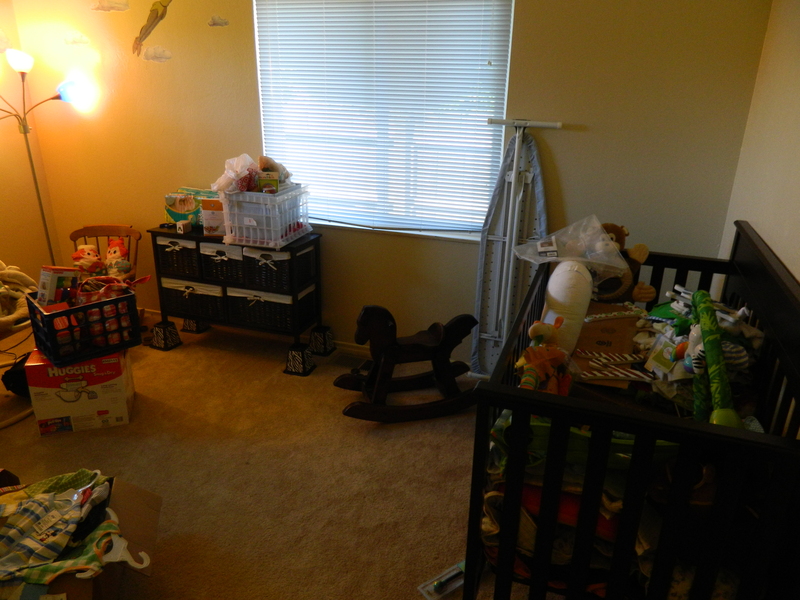 This all started on Friday, when Liz and I began to put together the baby’s room, which previous to Friday had been a guest bedroom. Notice the ironing board didn’t move. My job Friday was to assemble the two major pieces of furniture that we have thus far purchased: the crib and a dresser that we had hoped could double as a changing table. The crib turned out perfectly nice, as did the dresser, though in the case of the latter it became apparent during the course of its assemblage that it was not quite as large as we had imagined based upon the context-less picture provided on Amazon. If the picture had included, say, a watermelon sitting on top of the dresser, or a rabbit, we would have realized that the dresser was closer to knee-high than hip-high, with the accompanying discrepancies in regards to proportion. In other words, the dresser would be a dresser, but it wasn’t going to also be a changing table. Little furniture riser disk things, which, when stacked and placed under the dresser’s legs, raised the dresser several inches, but failed, as I pointed out, to expand the proportions of the item in question, leaving the top surface still far too narrow to serve as a changing table. 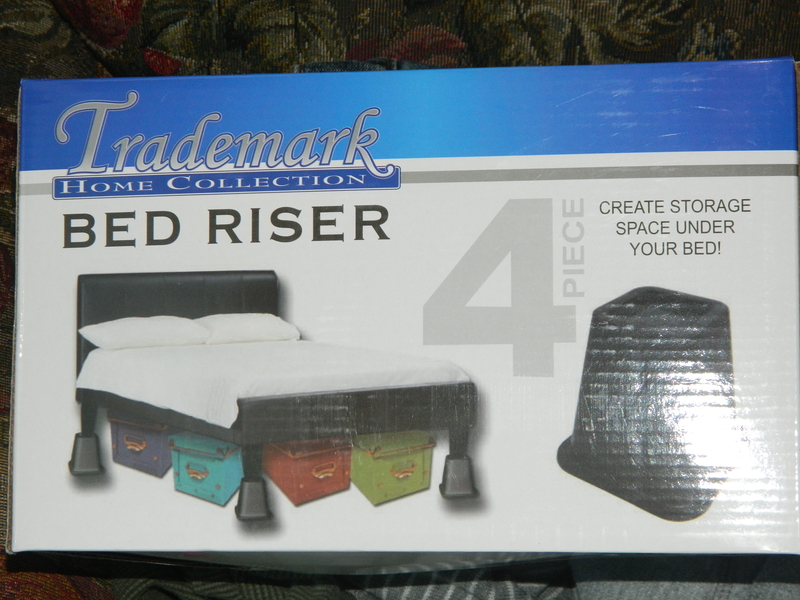 These newer, much more decorative risers did indeed raise the dresser even higher, though, as I again pointed out, failed to make the necessary alterations to its proportions necessary for its use as a changing table. 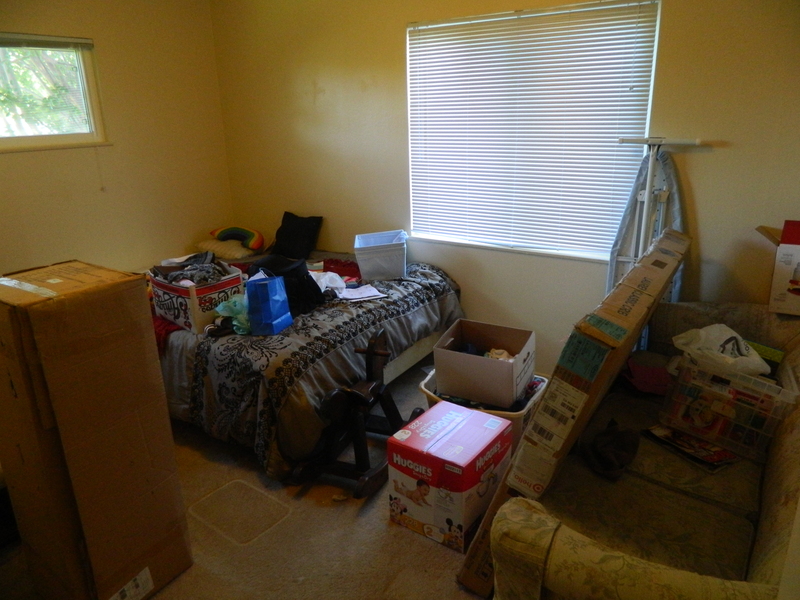 Liz’s desperation came from the fact that her spending whatever-the-dresser-cost (which was not much) was predicated on its serving as both dresser and changing table, and if it came to serve only as dresser, she has wasted money. 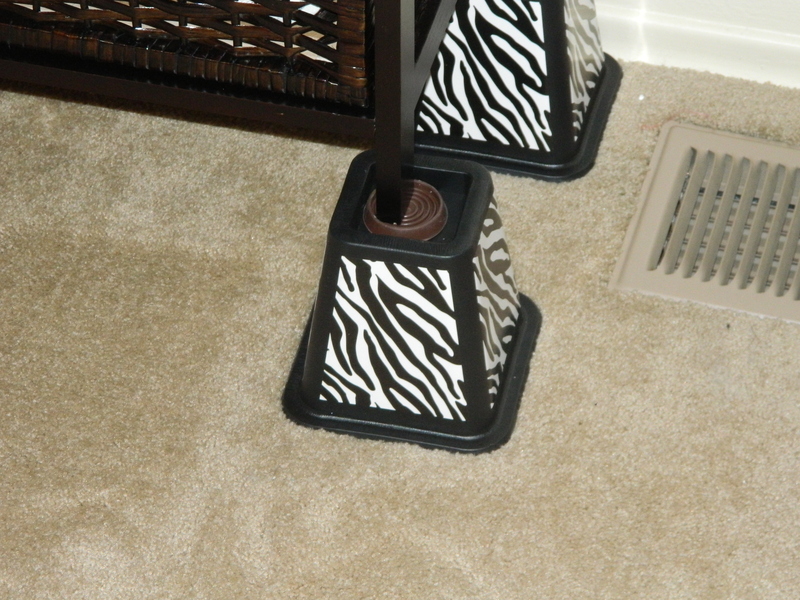 A set of four furniture risers, quite similar to the previous set, but without zebra stripes. In fit of nervous laughter, Liz admitted that she had ordered the just-delivered set shortly before her trip to Ross, where she purchased the zebra stripe set. She reportedly just couldn’t wait. When the nervous laughter, now emanating from both of us, finally died down, I suggested that Liz write a short story about a woman that keeps buying more and more furniture risers. She starts with a dresser, or something, that she wishes was taller, then the chair next to the dresser, then the kitchen table, and the dining room table, and the cat box, and then it would get sort of Barthelmeean, or something, or like magical realism, and the woman would put furniture risers beneath every piece of furniture and appliance, including the refrigerator, and then beneath her pets, and her spouse and children, and the house itself, and then her neighbors, everyone but her, and her neighbor’s houses, and the White House, and beneath the President and his Cabinet, and the Great Wall of China, and the Moon, and then…I don’t know. I don’t know how it would end.